I always wanted to own a convertible some day, and when I started Autocross, the convertible became Miata. A lot different type of sports car I always dreamed of when I was younger, but more I see it on the course, I start interested in more and more. I picked her up on the Craigslist. 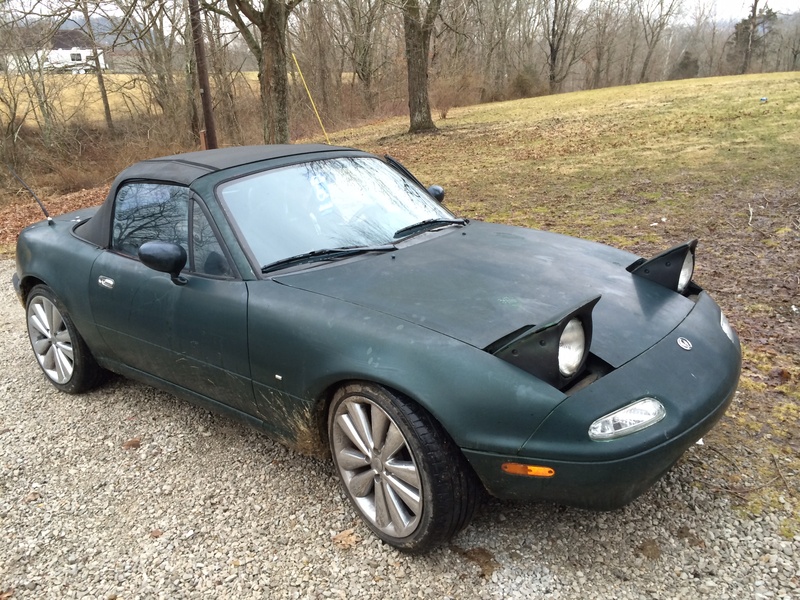 She is 1992 Miata MX-5 Base. It has nothing “Power”. No power windows, No Power Door locks, No Power steering, and well… no engine power neither… From the price listed, I knew she wouldn’t be in a pristine condition, but for price, it would be a good start, and will be a good learning experience working on cars. It could be a long journey, but I’m excited to learn more about car maintenance.